... even when it's bad, it's still pretty good! 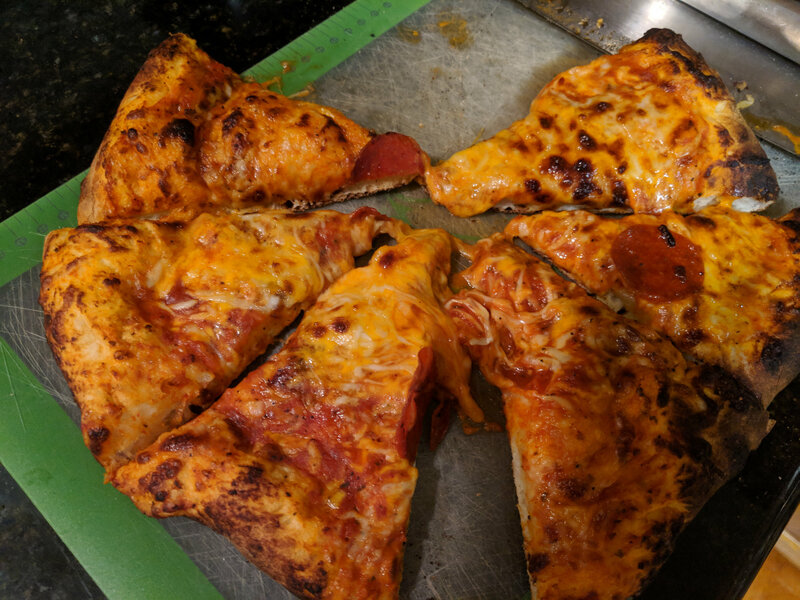 Finally got around to doing pizza on the egg. Glanced over a few pages from this frothy folio of knowledge and took a stab at it. Bought raw dough from the store, sparing with the sauce, config. was woo ring, pizza stone, grate, raised grate (approx. 5 inches) and the cooking pizza stone. Ran temp at 550 dome temp. Results were good, puffy crust crispy on the bottom. See pics. 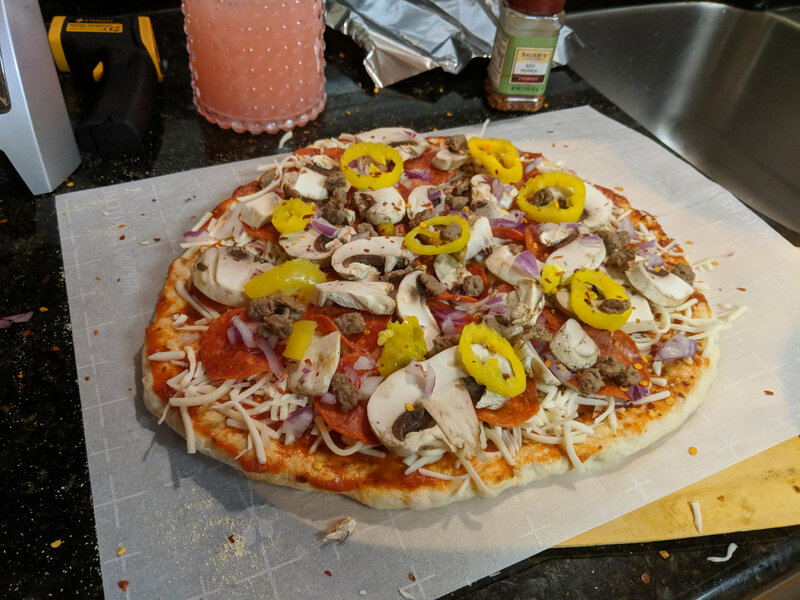 Only downside, first 'za had a funky flavor because I recon I still had grease burning from prior cooks. Thought it had had plenty of time to burn off, but I must have had extra junk in there. 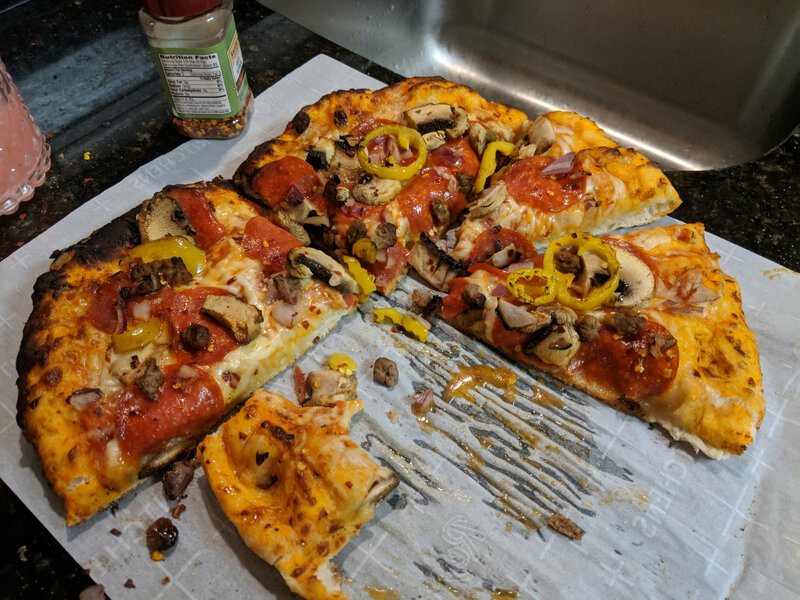 Second pizza did not have the offending flavor. It was my wife's, glad she shared.